When you need vision assistance and eye protection, you can trust Jackson Safety Dual Readers. They feature integrated diopters (+2.5 strength) on both the top and the bottom for vision help when looking both up and down. 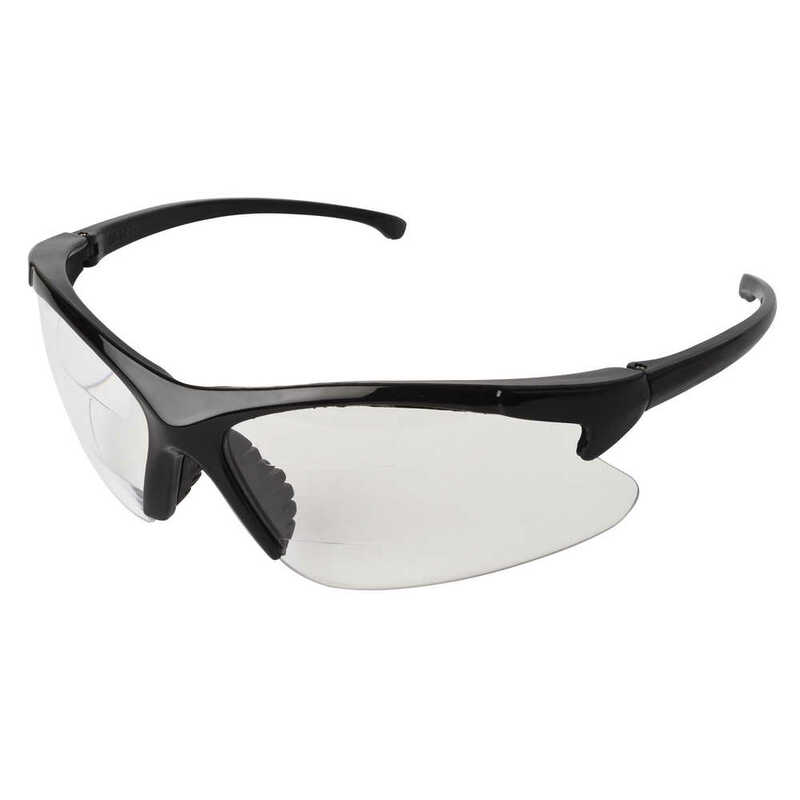 The stylish, nylon frames feature a soft, self-adjusting rubber nose pad for comfort. The clear lenses allow maximum visible light transmission (ideal for indoor use) and are hard coated for scratch resistance and longer life. These safety glasses meet ANSI Z87.1+ standards for high impact and the polycarbonate lenses provide 99.9% UVA / UVB / UVC protection. Need a different strength? The Jackson Safety Dual Readers come in three different strengths (+1.5, +2.0 and +2.5).